Feurich 122 vs Yamaha U3H – surprising discovery! Our main used Yamaha upright pianos for sale comprises mainly of fine quality Yamaha U1G, U1H, U3G and U3H upright pianos. They are all in excellent condition, the case are normally good or in pristine condition and are mostly made between 1965 and 1985, a period we consider to be the pinnacle of tone quality for Yamaha pianos. Of the more modern Yamahas we only stock the mid and top range ones, and don’t stock new Yamahas, preferring Kawai, Yamaha’s main Japanese competitor. All second hand piano prices include a 5 year guarantee. It’s from around 1966 that we first see Yamaha pianos in Europe. These early models are the ones that sound the most like German pianos, with a good deep mellow tone throughout the range. They are more expensively constructed with top quality soundboards, excellent hammers, wooden pedal mechanisms on uprights and mostly wooden action parts. As the Korean and later the Chinese factories began to produce large numbers of pianos in competition with Yamaha, so the Yamaha piano started to be made more economically. Wooden parts were replaced by plastic or aluminium, though lately there has been a return to wooden action flanges. The tone also started to lack the rich depth that it previously had. The gradual brightening of tone is evident until about 1990, When Yamaha brought out what they called a hand-built piano, grands starting at £28,000 and uprights at £7,699. Yamaha now operate a two tier system with their basic grands and uprights, usually not made in Japan, and the top range series. 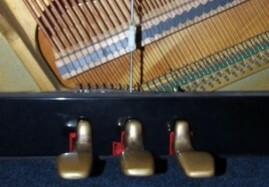 These are the Yamaha S4A Grand Piano, Yamaha S6A Grand Piano, Yamaha CFIIIS Grand Piano, Yamaha SU118C upright Piano and Yamaha SU7 upright Piano. Considering that a Yamaha G3/C3 grand piano cost about £4,500 new in 1971 (600,000yen), the equivalent new price according to inflation since then would be £31,000! A Yamaha U1D upright piano cost about £1500 new in 1965 (197,000yen). The equivalent new price today (2012) would be over £25,000! The early Yamahas are all of guaranteed high quality. Since about 1985 they developed a two tier system, with the top quality Yamahas still being made in Japan but others increasingly being made in different countries, mainly Indonesia and China. There is now so much variely of model and number that it’s difficult to keep track. We recommend, if buying a new Yamaha or one from 1985 onwards, that you seek the advice of a piano tuner who is familiar with them. 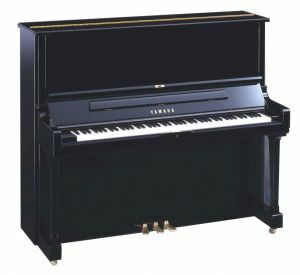 We recommend buying an upright piano with a practice pedal rather than one with a Yamaha “Silent” system. This is because the touch on the Yamaha silent piano is compromised by the bar which comes between the hammers and the strings. 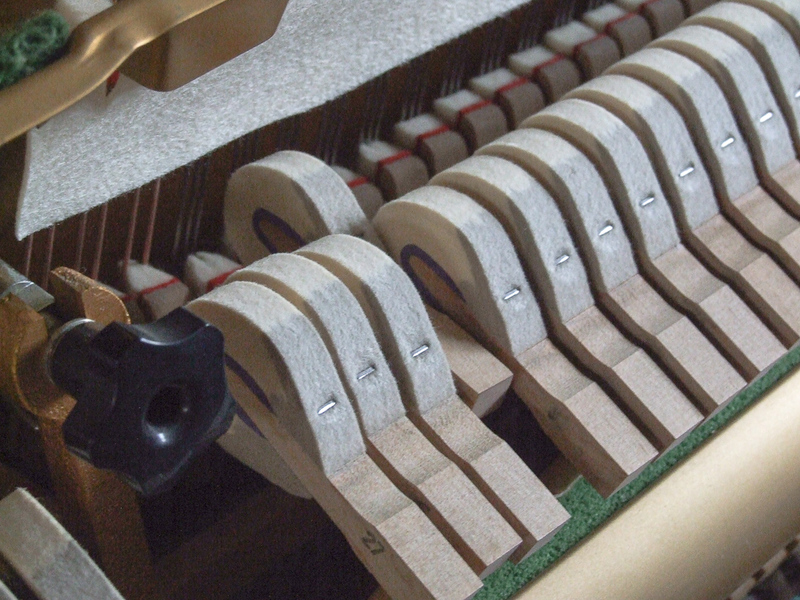 As a result, the “Let off”, which is the distance from the strings which the hammer reaches before the player looses control of it, increases from 2-3mm on most good ordinary pianos to 6-9mm on “silent” pianos. We find this makes soft playing more difficult both in normal and silent mode, thereby reducing the range of expression, and also gives the action a “choppy” feel. The traditional practice pedal found on most Yamaha uprights before about 1990 is ideal if for instance you live in a flat and need to practice very quietly. 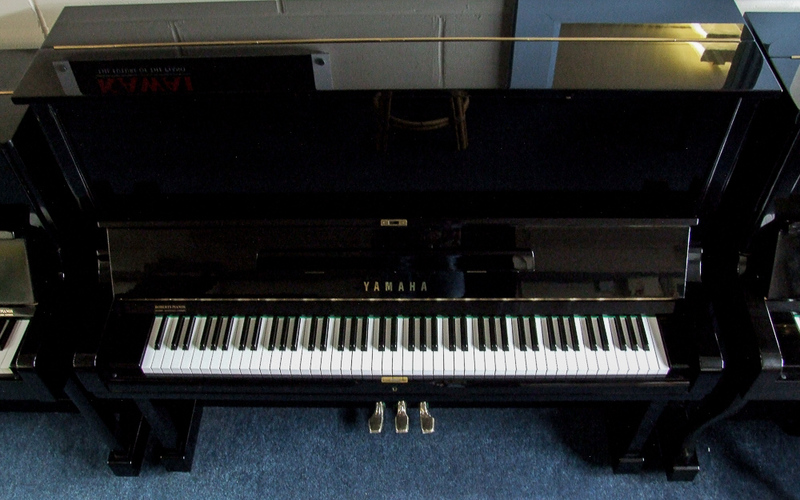 We’ve been selling second hand Yamaha grand and upright pianos for over 20 years. They are always little used, and the case and loops on the uprights are checked and repaired if necessary. Bass strings are also replaced if they have lost their tone. We then finely regulate and tune them, and guarantee them for 5 years. To view our pianos for sale please view our stocklist. Unfortunately, as we have said above, not all models of Yamaha are good pianos. When we come across one we think you should definitely avoid, we will try to list it here. To start this list, we recommend you steer clear of the very common secondhand Yamaha E108 made from about 1985 to 2003, and also the second hand Yamaha LU101 made around 1984, which can be reasonable but is variable. We find these models often sound brash, patchy, lifeless and the tuning is not adequately stable. The new Yamaha GB1 baby grand sounds reasonable at first but unfortunately shows up as not being well made when it comes to tuning and maintaining it. Economy has been the watchword in making this piano. They have even left out the hugely advantageous adjustable music desk which is standard on practically all baby grand pianos. 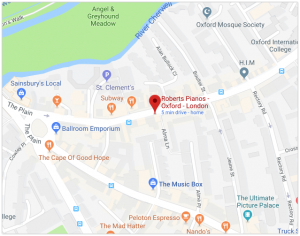 If you’re looking for a budget priced baby grand then you’re much better off choosing a restored baby grand from the 1920s or 30s, when competition in baby grand making was strong which served to push up the quality. The tone of the best of these pianos can be exquisite. 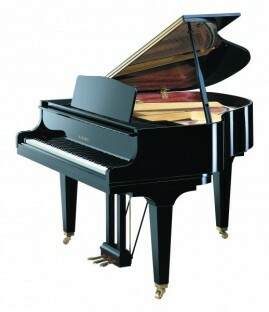 For a new baby grand we recommend the Kawai GL10.